Sports centres aspiring to have the title ‘national’ added to their names have quite a lot to work on. 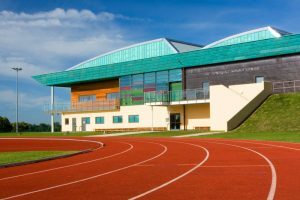 National sports centres in the United Kingdom, that is Bisham Abbey, Lilleshall and Plas Y Brenin have set the bar really high. These centres provide world class services right from the sports facilities presence, their catering and their accommodation. National sports centres in the United Kingdom strive to provide only the best to sportsmen and women from England and all over the world. We are talking classy en-suite rooms, cosy cottages, fancy farmhouses, comfortable, safe and adequate camping sites with camping arches, tipis and tents. There is everything for everyone. All rooms are self contained saving athletes, coaches and guests from the hassle of going more than 10metres for a shower or to answer the call of nature. A flat screen TV is a device that will never lack in a room within a national sports centre. Coffee and tea making machines are also very popular apparatus. Needless to say, all rooms in a national sports centre have a WiFi connection and a workspace. The en-suite rooms come with beds and interior decor that is to die for. A delicious gourmet meal is the least a national sports centre can provide since fine wining and dining is not too much to ask for the crème de la crème. The bars at such centres are always fully stocked with a variety of soft drinks, beers, wines and spirits. Sporting facilities ought to be the best. Fancy courts, the latest equipment, and pitches in good state are a national sports centre must have. All sports centers of the national caliber also have a fully equipped gymnasium or two. Players are known to unwind at on-ground saunas or over drinks at the bar. Medical centres that provide on site treatment or first aid to sports persons are also common features.